The inspiring and irresistible true story of the women who broke barriers and finish-line ribbons in pursuit of Olympic Gold When Betty Robinson assumed the starting position at the 1928 Olympic Games in Amsterdam, she was participating in what was only her fourth-ever organized track meet. She crossed the finish line as a gold medalist and the fastest woman in the world. This improbable athletic phenom was an ordinary high school student, discovered running for a train in rural Illinois mere months before her Olympic debut. Amsterdam made her a star. But at the top of her game, her career (and life) almost came to a tragic end when a plane she and her cousin were piloting crashed. So dire was Betty's condition that she was taken to the local morgue; only upon the undertaker's inspection was it determined she was still breathing. Betty, once a natural runner who always coasted to victory, soon found herself fighting to walk. 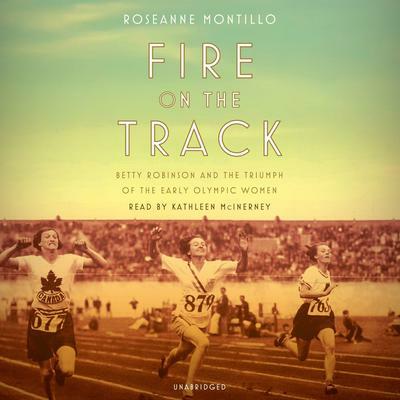 While Betty was recovering, the other women of Track and Field were given the chance to shine in the Los Angeles Games, building on Betty's pioneering role as the first female Olympic champion in the sport. These athletes became more visible and more accepted, as stars like Babe Didrikson and Stella Walsh showed the world what women could do. And—miraculously—through grit and countless hours of training, Betty earned her way onto the 1936 Olympic team, again locking her sights on gold as she and her American teammates went up against the German favorites in Hitler's Berlin. 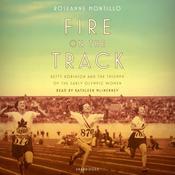 Told in vivid detail with novelistic flair, Fire on the Track is an unforgettable portrait of these trailblazers in action. But at the top of her game, her career (and life) almost came to a tragic end when a plane she and her cousin were piloting crashed. So dire was Betty's condition that she was taken to the local morgue; only upon the undertaker's inspection was it determined she was still breathing. Betty, once a natural runner who always coasted to victory, soon found herself fighting to walk. While Betty was recovering, the other women of Track and Field were given the chance to shine in the Los Angeles Games, building on Betty's pioneering role as the first female Olympic champion in the sport. These athletes became more visible and more accepted, as stars like Babe Didrikson and Stella Walsh showed the world what women could do. And—miraculously—through grit and countless hours of training, Betty earned her way onto the 1936 Olympic team, again locking her sights on gold as she and her American teammates went up against the German favorites in Hitler's Berlin. 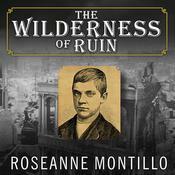 Roseanne Montillo is the author of The Lady and Her Monsters: A Tale of Dissections, Real-Life Dr. Frankensteins, and the Creation of Mary Shelley’s Masterpiece. She holds an MFA from Emerson College in Massachusetts, where she continues to teach as a professor of literature.